The collagen and elastin structure of the skin will lose elasticity due to aging. The skin will also lose some of its self-moisturizing properties making it appeared saggy and loose. Besides, the skin loses its elasticity because of rapid weight loss, pregnancy, excessive smoking, daily intake of alcoholic beverages, dehydration, and overexposure to harmful sun rays, etc. To tighten the skin, you can rely on some home remedies at home. 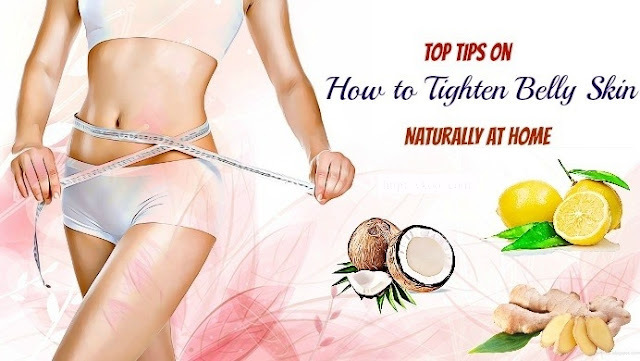 Here are top 10 science-based home remedies for tightening your belly skin. Let’s get started! According to Dr. David Bank, a founder and director of The Center for Dermatology, Cosmetic and Laser Surgery in NY, coconut oil contains positive antioxidants that help to reduce the aging process. It also keeps the skin nourished and hydrated. Take some coconut oil and massage in on your affected area in upward circular motions. Keep massaging for around 5-10 minutes and leave this oil on overnight. Follow this remedy nightly before going to sleep. Take the mustard oil and heat it until it turns lukewarm. Massage your affected areas with this lukewarm oil before taking a bath. 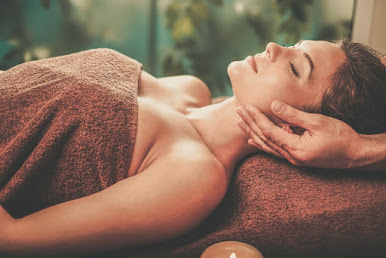 Gently massage for 5 minutes in upward motions. Finally, shower as normal. Try this remedy 2-3 times weekly. A 2013 study showed that in cosmetic formulations, honey exerts emollient, soothing, and humectants effects, and retards wrinkle formation. Being packed with natural hydrating, antiseptic, anti-ageing and antioxidant properties, honey is an effective natural remedy for tightening your belly skin. Take the aloe vera gel and honey in a bowl at first and later mix them well. Thereafter, apply this mixture on your affected regions and rinse after 30 minutes with plain water. This remedy should be used two times daily to tighten belly skin effectively. The first step is peeling and grinding the cucumber to make a smooth liquid. The next step is adding the rosemary oil to the liquid and mixing well. Then, apply this mixture on your affected areas. Rinse after 15-20 minutes with water. This remedy should be used one time in every 3-4 days. Take a papaya and cut it into small pieces. Next, blend these pieces in 1 blender and add the rice flour to this. Then, mix well. Start applying this mixture to your affected area and rub gently in upward circular motions. Wash off with water after fifteen minutes. This scrub should be used two times weekly to get a tighter skin. Daily use of ginger can aid in tightening your belly skin. High cortisol levels can increase weight gain and excess belly fat. According to a 2004 article published in the "Biological and Pharmaceutical Bulletin", ginger helps to suppress cortisol production. At first, wash the ginger to remove its dirt and cut into small pieces. Then, blend these pieces in the blender to make a paste. After that, mix this ginger paste with the salt and roast it. Now place this resultant mixture in the prepared bag and press it gently on your affected areas. Wine is loaded with Vitamin E and provides nutrition and firmness to the skin, thus making it elastic and healthy. Firstly, wash the ginger to eliminate the dirt and cut it into small pieces. Blend the pieces to get a paste and mix this paste and wine together. After that, store this mixture in a glass bottle for around 2 to 3 months. For use, you just need to massage this mixture on your affected areas. Follow this simple remedy daily for fast results. Basically, tomato acts as a natural astringent, which helps to tighten your belly skin. It also provides a natural glow to the skin. According to Professor Lesley Rhodes, a dermatologist at the University of Manchester, the tomato diet enhanced the procollagen level in the skin remarkably and that these increasing levels recommended a great reversal of the skin aging process. Blend the ripe tomato in the blender to make a puree. Then, massage the affected areas with this tomato puree and keep it on for thirty minutes before washing with plain water. It’s advisable to use this remedy frequently to tighten your belly skin. According to Live Strong, St. Botanica shows that castor oil is very useful for preventing sagging skin because it works as a lubricant. This oil also serves as a great emollient and gets absorbed quickly by the skin. The first step is mixing the two ingredients together. The next step is rubbing this mixture on your belly skin before your bedtime. In the morning, take a bath. Use this remedy nightly for best results. Add the green tea bag & basil or mint leaves to a cup of hot water. Cover and step for a gap of 5 and 10 minutes. After that, strain and add the lemon juice & honey. Mix well and drink this green tea. Have around 3 cups of green tea each day for quick results. Take the aloe vera leaf at first and later cut it to extract its gel. Then, apply this gel on your abdomen and wash off using warm water after 15-20 minutes. Try this remedy twice or thrice weekly. These home remedies can help to prevent and tighten your belly skin. Plus, following a healthy and regular skin care regime will also help you remain a youthful appearance.